There are numbers of fragrant flowers which can be used for wedding bouquets; scented flowers such as Rose, Hyacinth and Lily-of-the-Valley make highly fragrant bouquets. Brides today have a number of exotic and alternative flowers to choose from for wedding bouquets; although the style of wedding bouquets may have changed through time, popular flowers such as Rose (Rosa damascena) have not. 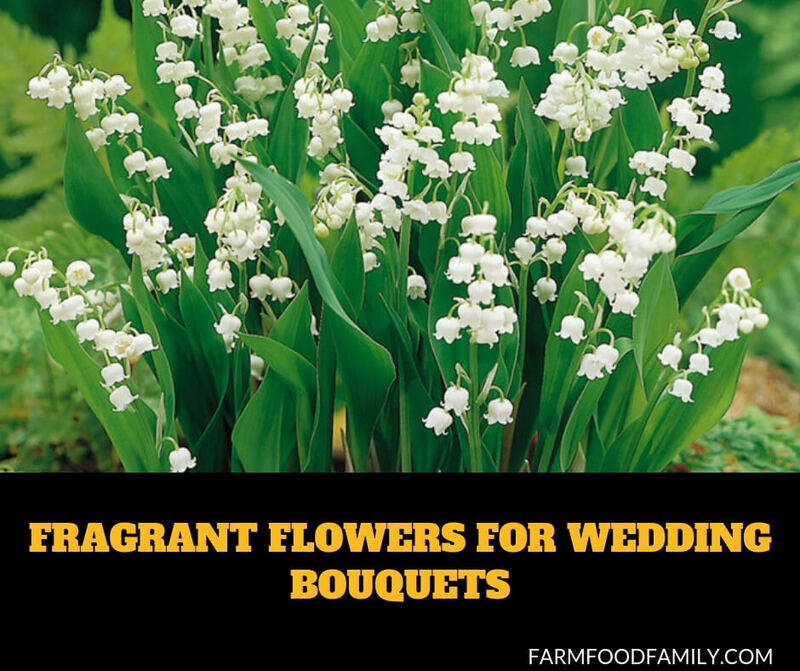 However, there are now several fragrant flowers to choose from for wedding bouquets including Hyacinth (Hyacinthus orientalis) and Lily-of-the-Valley (Convallaria majalis). The classic Rose (Rosa damascena) has probably been the most popular flower to be used in wedding bouquets and remains so today; popular colors for bridal bouquets include white, red, pink and cream Roses. The Rose has a long and interesting history; it is thought that ancient Persia was the first country to plant Roses in gardens and it is from here also that the cultivated Roses of today are thought to have originated. Many historical figures have revered the Rose; the Empress Josephine of France had many of the finest Roses in Europe on her Paris estate. Cleopatra reputedly showered Mark Antony in Rose petals in a show of love; the ancient Romans used Roses extensively in banquets and feast decorations. William Shakespeare (1564 – 1616) immortalized the Rose as a expression of love in Romeo and Juliet. Apart from the classic Rose (Rosa damascena) species, there are a number of scented Rose varieties; these include the hybrid Tea Rose, the Musk Rose (Rosa moschata) and the Gallica Rose. Roses possess different scents and some hold aromatic properties too; Roses are known to be sensual, warming and an aphrodisiac, the perfect choice for a Summer wedding bouquet. Hyacinths (Hyacinthus orientalis) are highly scented with a sedative, rich and comforting fragrance; they are native to the south-east Mediterranean region. Hyacinths flower in the middle of Spring, so are a good choice for a Spring bridal bouquet; they flower in a variety of colors including blue, yellow, white and pink. Highly scented Hyacinth cultivars include Delft Blue, White Pearl, Ben Nevis, Amethyst and King of the Blues. Hyacinth is used frequently in the perfumery industry, although many Hyacinth fragrances today are synthetic and not true Hyacinth; the scent of Hyacinth is said to be useful to calm nerves, which makes it an ideal choice for nervous brides! Another flower ideal for Spring weddings is the Lily-of-the-Valley (Convallaria majalis); it has been used for centuries in European bridal bouquets as the white blossoms are said to be associated with purity and the Virgin Mary. Lily-of-the-Valley is also known as lady’s tears, ladder to heaven and fairies’ bells. The Convallaria genus is a Lily-of-the-Valley species native to North America and Northern Europe; it is found growing wild in forests. It is a small, perennial plant with lance-shaped leaves and predominantly white blossoms. Lily-of-the-Valley has a sweet, floral scent, popular with brides, which is said to be restorative and strengthening; in the Middle Ages, water distilled from the flowers of Lily-of-the-Valley were used as a tonic to beautify the skin.